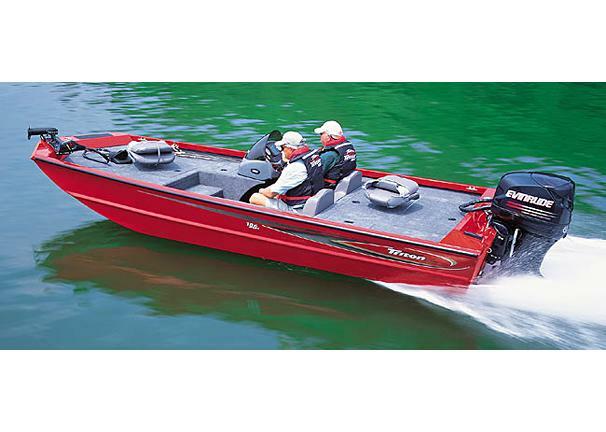 Boat Description Our 186 Sport is a no-nonsense aluminum boat designed for those who live and breathe bass fishing. You`d expect great performance from a Triton, and this hot 18 1/2-footer lives up to its name with an instant hole shot, fast plane-off and blazing top-end speed. Deck space and storage capacity are outstanding. And when the going gets rough, you`ll appreciate the soft, dry ride that only a genuine Triton can deliver.